Sometimes you just have to get off the highway and see the sights. While driving cross country from Colorado to Florida, I spent a lot of time in Texas. Three days driving through Texas to be exact! 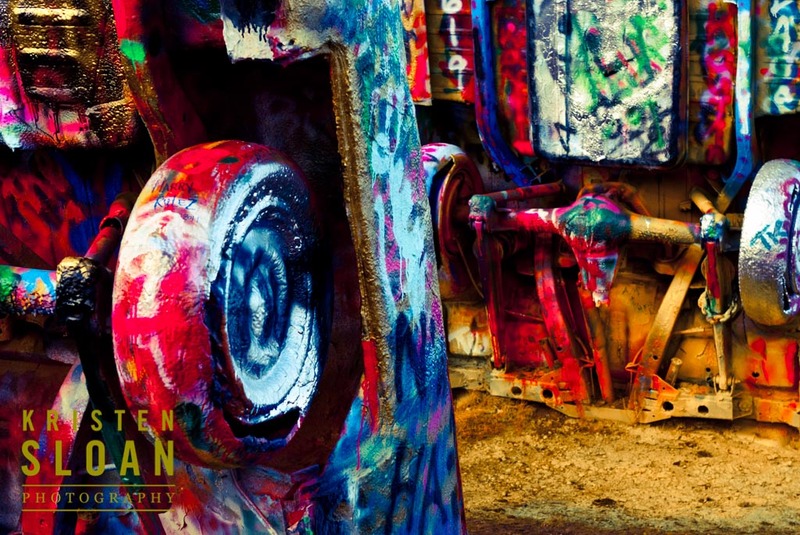 On my bucket list was stopping at Cadillac Ranch in Amarillo Texas. On our way out of town in the morning, I backtracked a little on Interstate 40 aka Route 66 to view the field where several Cadillacs are arranged inverted into the field, lined up in formation. Unfortunately I did not bring spray paint, to add to the public art installation. 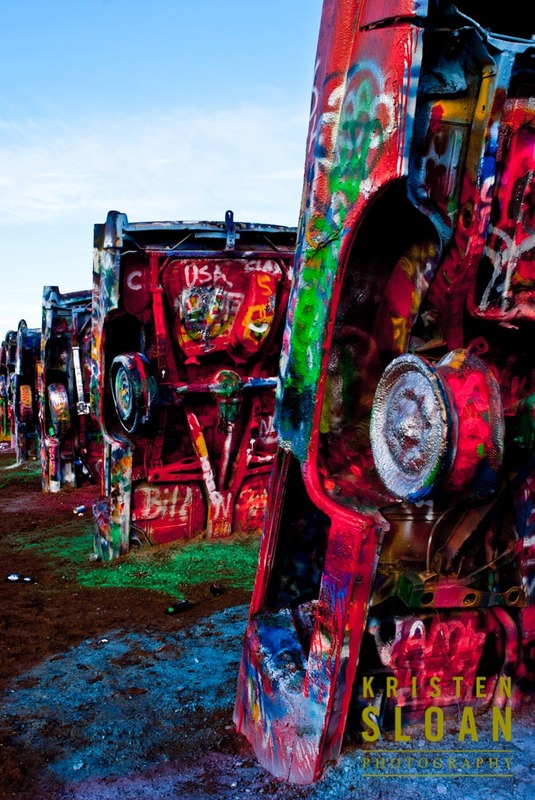 I did bring my camera to document the brightly painted Cadillacs. These images and more are available for purchase.